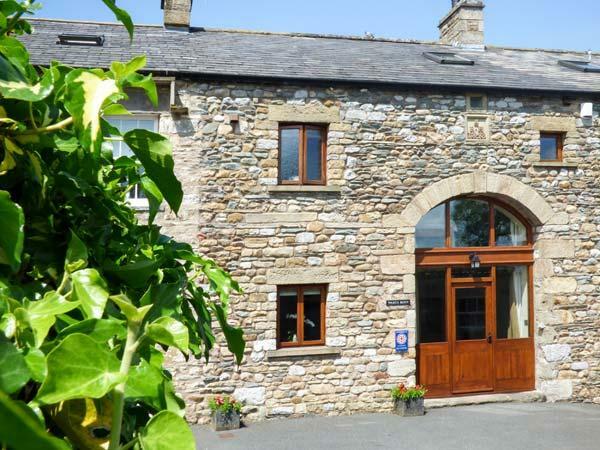 Situated in the middle of the Yorkshire Dales National park, Hill View is one of only 23 cottages that make up the entire village of Appersett, Hawes. The cottage is around one mile from the thriving market town of Hawes at the heart of the Yorkshire Dales with its excellent array of shops, tea-rooms, pubs & churches - and about 50-yards from some of the finest walks that the UK has to offer. The scenery is just stunning and in this comfortable holiday cottage you'll find a home-from-home. It's a delightful, well-appointed cottage with plenty of space for six in three bedrooms (one double with a king-size bed and two twins). There is a cosy snug in addition to the sizeable lounge and a kitchen with space to mingle as a family. Spacious lounge with Freesat + TV, radio/CD player, pay phone, games for all ages and a good selection of books. A cosy snug with wood-burning stove, TV/DVD player. Large, well-equipped, fully-fitted kitchen. Contains a breakfast table, ceramic hob and electric oven, fridge, freezer, dishwasher, washing machine, tumble-dryer, microwave and benefits from stunning views overlooking Widdale Beck and the fells. Master Bedroom: King-sized double bed, touch-sensitive lighting with views over the beck and hills beyond. Fitted wardrobe. Bedroom 2: Twin bedroom with built-in wardrobe. Bedroom 3: Twin bedroom with touch-sensitive lighting. Bathroom: A spacious fully tiled bathroom, bath/shower, WC, wash basin, shaver socket and hair dryer. Patio area with garden furniture and barbecue. The garden also has a picnic table and a bench seat. There is car parking for two/three cars directly outside the cottage. Additional information: There is free broadband/Wi-Fi for guests use. All electricity and oil is included in the rental. 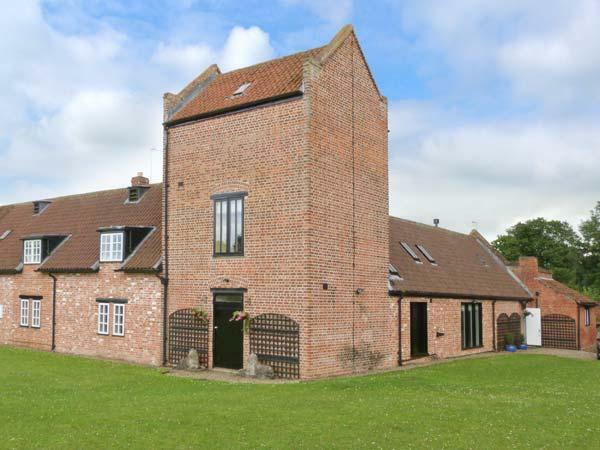 The property has full oil-fired central heating including hot water. Linen and towels are also included. Beds are fully made up before your arrival. A travel cot (please bring your own linen) and high-chair are available free of charge when requested at the time of booking. Up to two well-behaved pets are most welcome. Fantastic cottage in beautiful location. This accommodation provided us with everything we could possibly need. Had a really wonderful relaxing weekend with our children and grandchildren. Do yourself a favour and book it now. Our daughters booked this weekend away for us all as a Christmas present and we are so pleased they did! The cottage is super, spacious, immaculate, really well equipped and what a lovely setting. We arrived at night so to open the curtains in the morning to such lovely Dales views was a treat with snow on the tops making it even more beautiful, we would love to go again, it was delightful in every way. 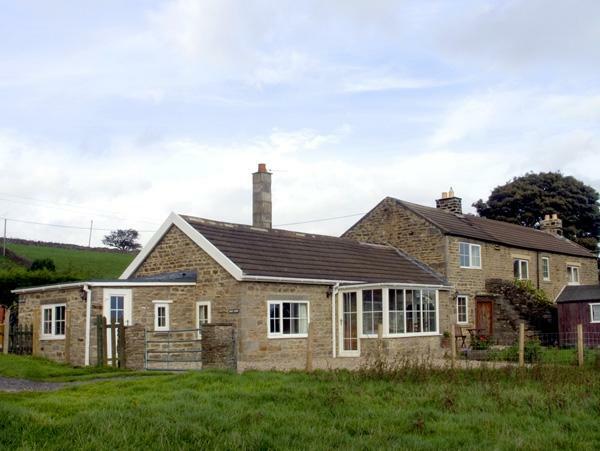 Gorgeous and spacious house which is beautifully located in a peaceful, quiet location less than a mile from Hawes. Big Kitchen easily seats 8/10 people and a lovely big lounge and also the snug is a bonus with log burner so plenty of room for people not to be on top of one another. Well equipped, warm and like home from home. We will be back. Thank you so much. Honestly? 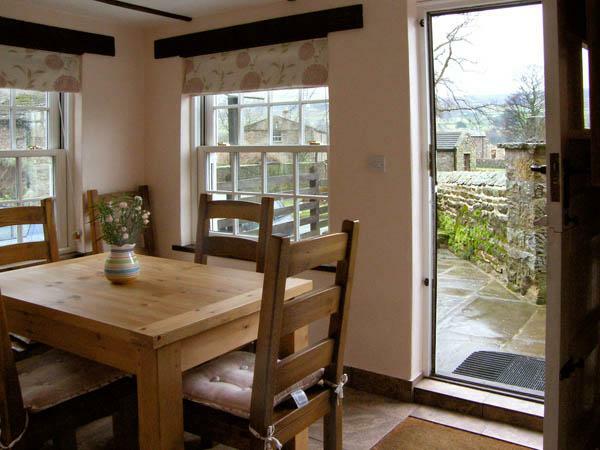 Hill View provides all you would want from a cottage holiday in the Dales. 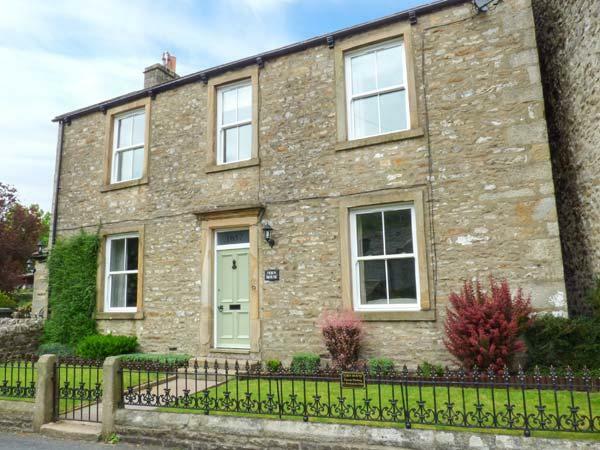 The location is perfect, you can walk without driving anywhere first, or shop in a typical Dales market town also virtually on the doorstep(a mile). Views from the cottage are amazing and ever changing, day to day depending on the weather and light. 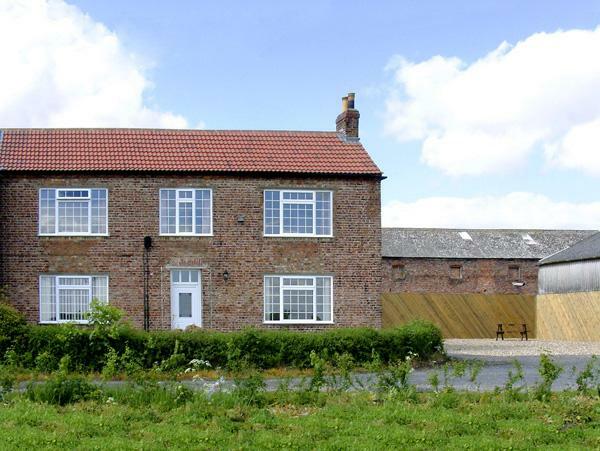 With good or bad weather, the cottage provides a wonderful, peaceful, cosy and homely retreat. Spec and facilities are top notch too. Hillview is a spacious and well appointed cottage. 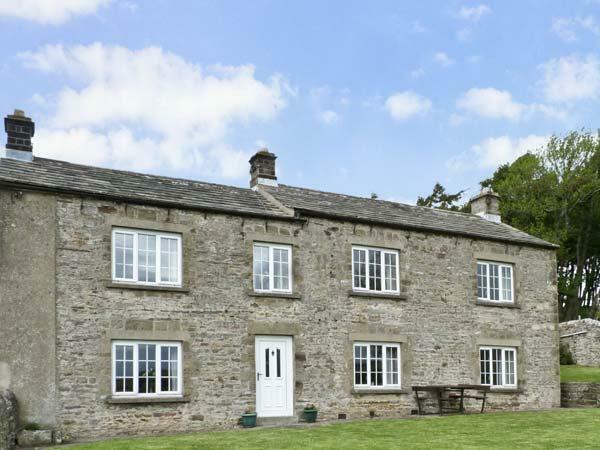 It is well placed for exploring the Dales and situated in a very peaceful and unspoilt spot. Good walking from the front door and close to Hawes with it's range of shops and eating places. The cottage never felt cramped with excellent reception rooms and the handy snug for the children to do their own thing! The cottage was well appointed and in very good order. Managed to use the barbecue and the neighbours supplied the fresh eggs-a nice touch! The bedrooms were very roomy with excellent storage and the bathroom was very light and fresh. We stay in cottages a lot and this one could be our home! We will be back. Make up of party: Four adults, two children and Clyde the dog. A lovely home-fom-home cottage, tastefully decorated and well equipped. The spacious accommodation is very much a plus (good sized kitchen and rooms), ideal for families and friends sharing. 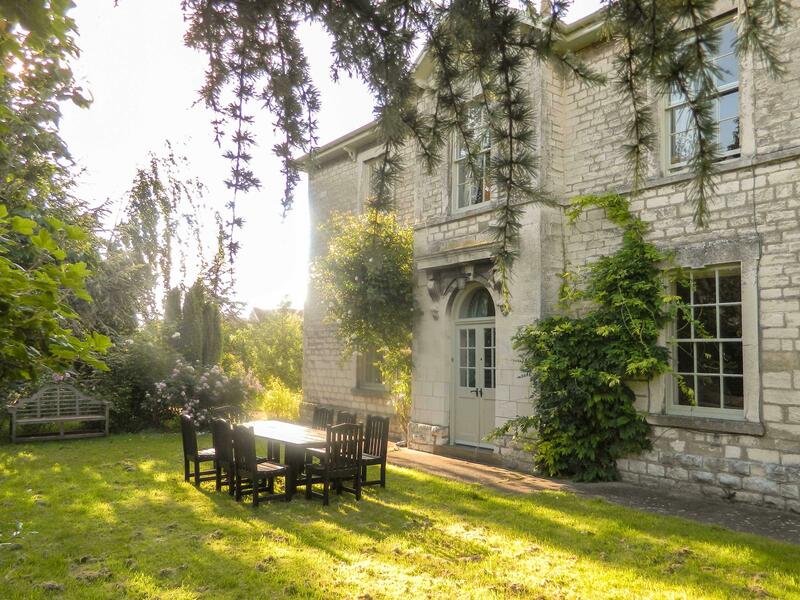 Superb countryside waiting on the front door-step to be explored and an ideal starting point for countless walks in the Dales and visits to the not too distant Lakes to the west, or the York Moors and coast to the east. Hawes is only a mile down the road with good food shops and restaurants etc. although car essential for non-walkers. Good provision made for the inevitable not-so-good weather days: warm and comfortable inside (2 TV lounges, books and games, walk/car route information), and plenty of interesting places to visit nearby. Just returned from a fabulous week with wonderful weather. The cottage was perfect and could not be faulted. We wanted for nothing. Whilst on an A road it is not noticeable and is mainly tractors and the views distract you anyway! Endless mountain bike rides and walks of any length from the doorstep and a cottage of just the right temperature when you come back - thanks to the thick walls. Comfy beds and good shower. Friendly neighbours. Tesco delivered which makes life easy as the shops in Hawes are good and we used them but they are not Tesco 24 etc. and it meant we could bring more bikes and walking gear. Being settled to sleep by an owl and woken up by a cockerel, peacock and cuckoo - what more could you ask for?We plan to return. There is so much more to do. Make up of party: Family - 2 adults 2- children and a dog ! We enjoyed our holiday here very much. The cottage was very well equipped and warm. We used the log burner, more for fun than for need. Lovely for the children with suitable walks nearby for any of us. 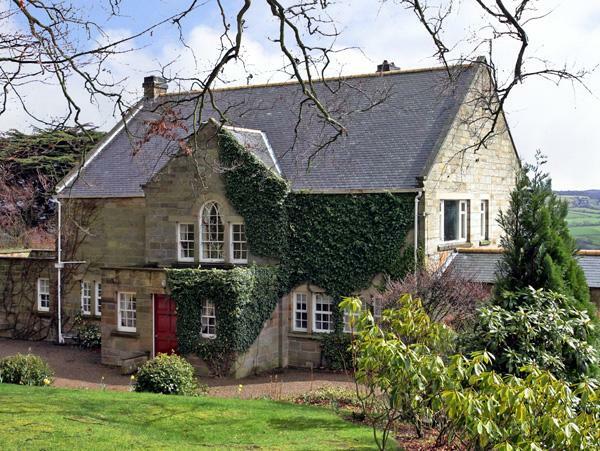 Hill View Cottage is located in beautiful surroundings and is well worth a visit. The Cottage is surprisingly roomy with three large bedrooms, with a choice of very comfortable double or single beds. It has a large lounge with ample seating and a smaller room with an additional TV for children, or those who want to be on their own. The cottage is very well equipped with ample crockery and catering equipment and the dining kitchen is very welcoming with beautiful views over the countryside. 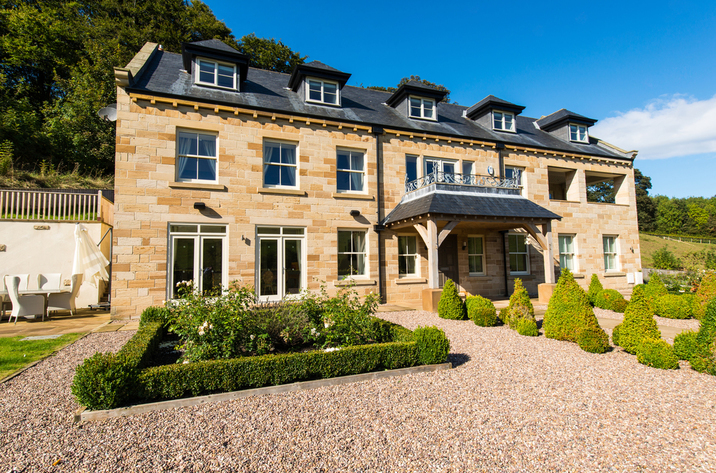 The property was beautifully presented to a high standard. It was warm and welcoming - especially at night when it was cold and wet out. Comfy beds. There was more than the usual amount of kitchen equipment you find in a holiday cottage, which is a bonus when there are a few of you. There is also a lot of space for everybody's coats and shoes, we weren't at all cramped. Lovely sitting room. Only a short walk into Hawes if you didn't want to drive. Wonderful views and ample parking. Overall - would recommend staying at this lovely cottage. Lovely spacious cottage just a mile from Hawes. Well furnished kitchen/diner with washing machine tumble dryer dishwasher fridge freezer and a spacious larder. 3 Large nicely furnished bedrooms and 2 reception rooms. Lots of lovely views from the windows and very peaceful. Lots of interesting places nearby. Make up of party: Visit made up of 6 adults all friends. Lovely cottage in a quiet location but within easy reach of all amenities. The 3 bedrooms are a really good size and nicely furnished. A lovely kitchen diner, so cook could still chat with the others and not be isolated. A good large lounge and the bonus of a snug (small room) if you wanted to chill out on your own. Make up of party: Our party was made up of 6 adults3 couples of friends.